I love dairy-free cheesecakes, probably even more than traditional cheesecakes. They have silky consistencies and the flavors can be quite different, like my pumpkin or blueberry gin ones. This chocolate cheesecake tastes like a chocolate truffle. The key is to use high quality cocoa powder. My favorite type is dark cocoa. There's a store in Pittsburgh called Mon Aimee Chocolat. They have such a selection of baking chocolate! Guittard is my recent favorite dark chocolate to bake with. (I was given a whole history lesson from the shop's owner: Guittard and Ghirardelli were contemporaries, but Ghirardelli did a better job with the marketing of his company. The owner of Mon Aimee insists that Guittard chocolate is better, though. I've become a believer.) In case you are concerned about dairy or allergy information, they do have some information on their web site about it. Wegman's sells their dark chocolate baking bars, so that's where I usually get my supply. I get their cocoa powders from the Pittsburgh shop, although I may start ordering it online for convenience! Process all ingredients in the food processor, until they stick together to form a crust. Take a scoop of crust and press it into the bottom of some paper liners. Make sure the dough is flattened and even. You should fill about three to four medium-sized liners (about 4 inches in diameters). After, combine all of the filling ingredients into the food processor. Scrape the sides of the food processor to make sure that all of the goodies are incorporated and pulse again. Scoop the filling out of the processor and into your crust-lined containers. Smooth out the mixture on each crust. Refrigerate (or freeze) the cheesecakes for about an hour. 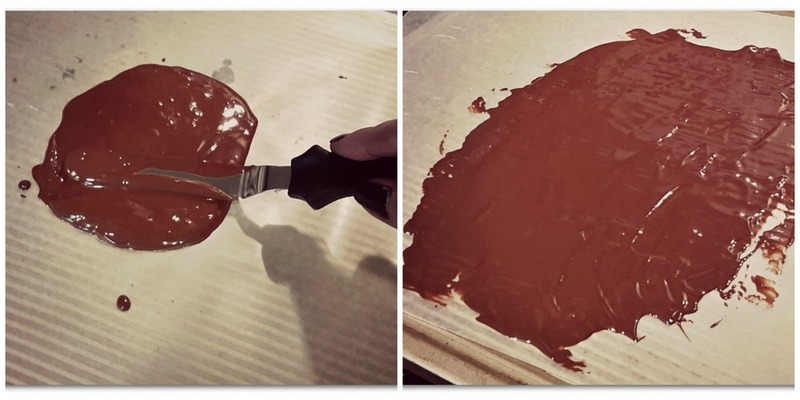 Pour the melted chocolate onto a baking sheet lined with wax paper. Smooth it out. Place the tray in the fridge for about 5 minutes. Using a spoon, press down and drag the spoon across the chocolate until it forms small, fat curls. Repeat until you have enough curls for your creation. To get the curls to stick, you can either press them down into the cheesecake or you could make some chocolate sauce and pour it on top.